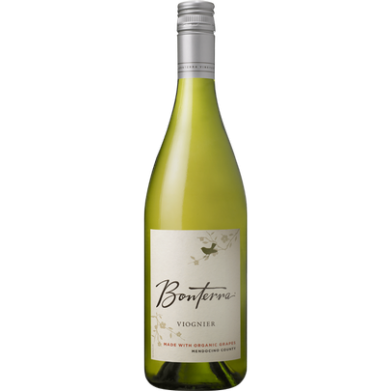 BONTERRA VIOGNIER for only $16.59 in online liquor store. Aromas of peaches and cream, citrus blossom and apricot greet you at the glass. Peaches and cream are a sensory signature of this wine. Fruit favors of apricot and peach are accented with spice. The wine is crisp and rich with beautiful elegance and a very long finish.